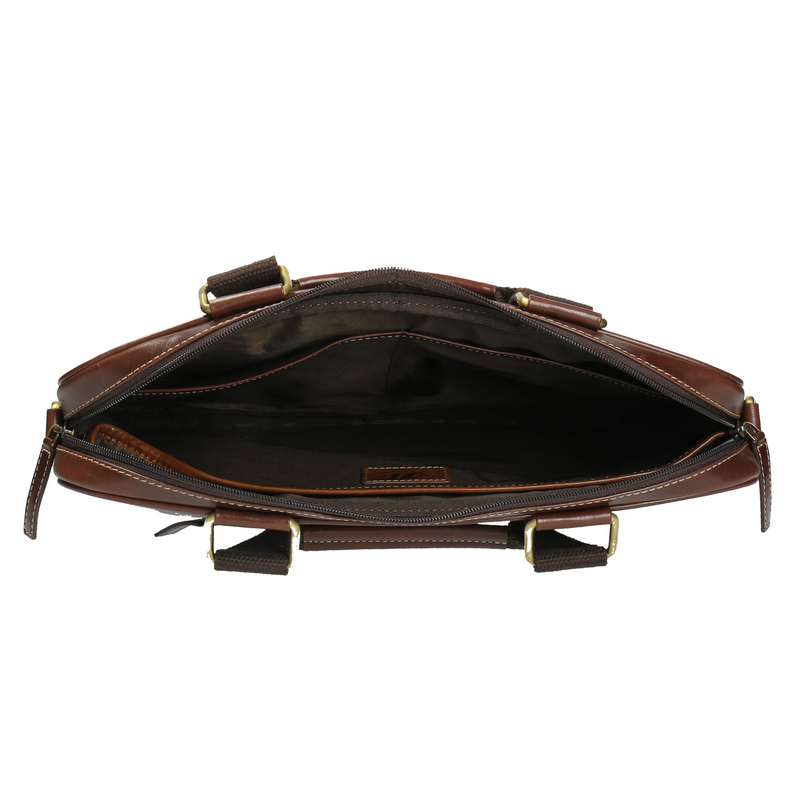 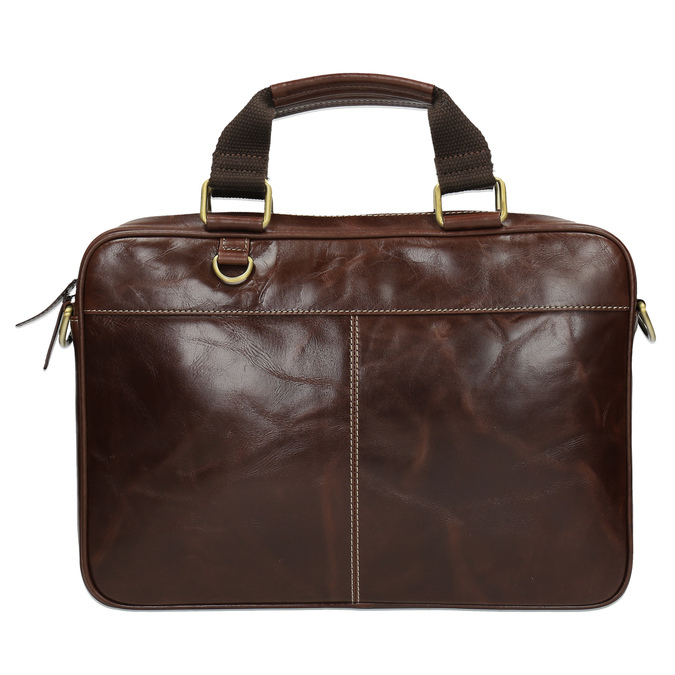 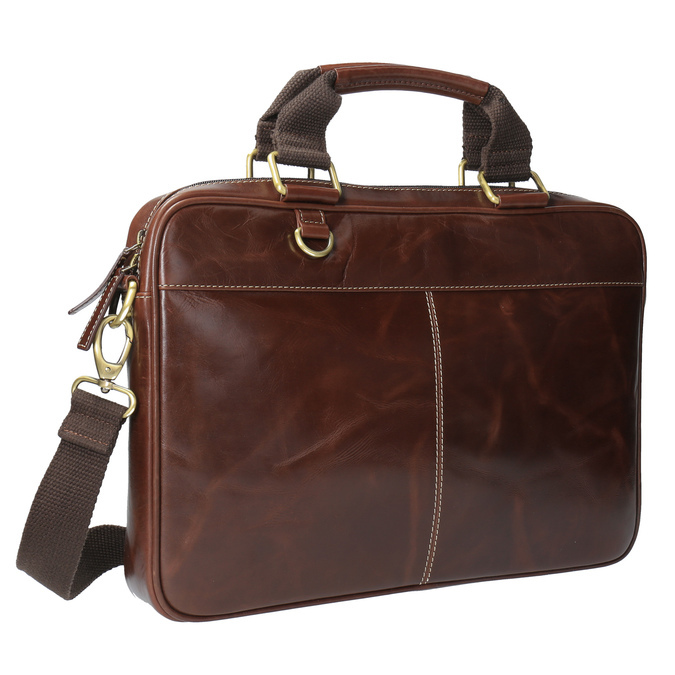 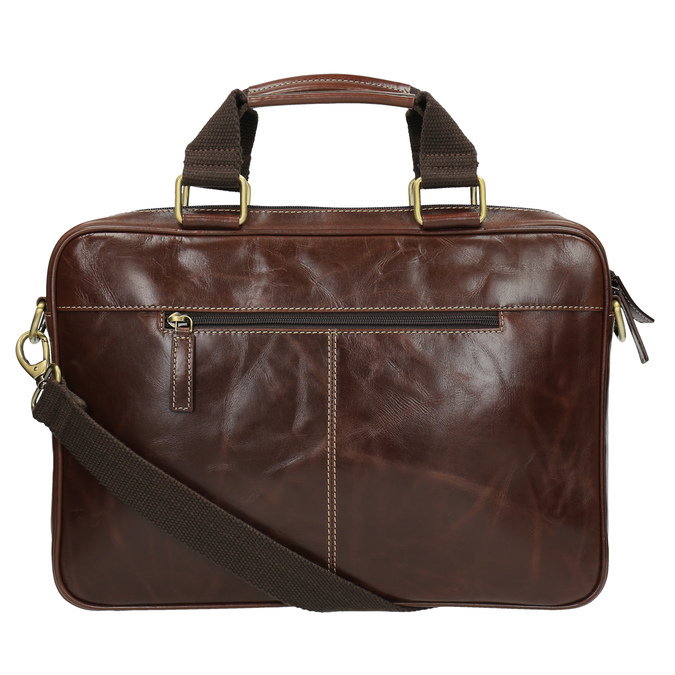 This men’s leather satchel comes in dark brown and features contrasting stitching and gold details. It includes a detachable textile shoulder strap and inside there is a large pocket for a laptop or tablet and two smaller pockets for little items. 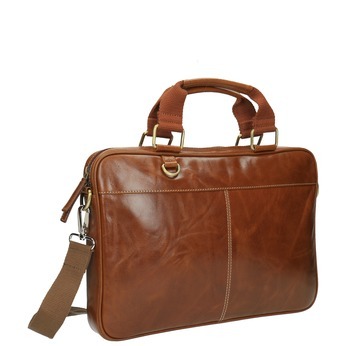 Combine this bag with casual shoes or sneakers in a similar colour.